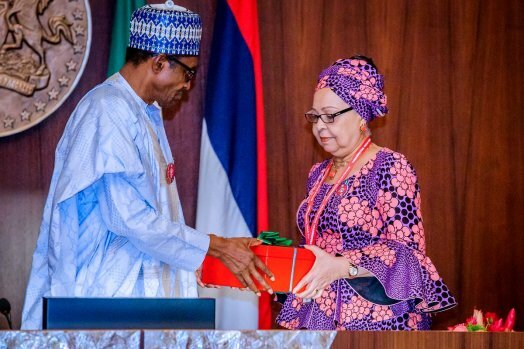 The Federal Government on Wednesday cleared the air about the adoption of the N30,000 minimum wage as contained in report of the tripartite committee submitted to President Muhammadu Buhari on Wednesday, saying it was still a recommendation and had not been approved. Minister of Information, Lai Mohammed, who disclosed this to State House correspondents after the weekly Federal Executive Council meeting, said President Muhammadu Buhari would still study the report before taking a decision on it, adding that the report will be presented before the National Economic Council and the Council of State before a decision will be made. In reacting to the statement by the Minister, Organised Labour has said it will embark on strike should the Federal Government fail to approve and implement the N30,000 minimum wage recommended by the tripartite committee. General Secretary of the Trade Union Congress (TUC), Musa Lawal, said labour shelved its planned strike because the government had expressed the willingness to accept the report of the tripartite committee, warning that anything short of the full implementation of the report would be met with stiff opposition. “They can say anything they want to say. Why were they panicky before? Why did they agree to the N30, 000? They can call it a mere recommendation or whatever they want to call it but the important thing is that at the end of the day, if we do not get the N30,000, they know what we will do,” he said. The Federal Executive Council (FEC) on Wednesday approved N628 million as variation for the Abuja runway and N12.66 billion for the procurements of Fire Service equipment, Green Maria vehicles for the Nigeria Prison Service. Minister of Interior, Abdulrahman Danbazzau, who disclosed this to State House correspondents after the weekly FEC meeting, said the approval of fighting trucks and water tankers was to fight fire incidents, while the 116 Green Maria (formerly called Black Maria) vehicles was to facilitate the transportation of prisons inmates to court, especially those in the awaiting trial category. Minister of Transportation, Rotimi Amaechi, confirmed that the Abuja runway variation of cost (total of which is now N6.5 billion), which was earlier stepped down was considered. Katarko town in Yobe, located 20 kilometres to Damaturu, the state capital, on Wednesday witnessed its second attack since July 27, 2014 by suspected Boko Haram insurgents, as several houses were set ablaze. “As we are talking, I don’t know the condition of my wives and children because they ran and left me while trying to pick my 7-year-old boy from the house,” Daily Trust reports. A Kaduna High Court on Wednesday refused bail to the leader of the Islamic Movement in Nigeria (IMN), Sheikh Ibrahim El-Zakzaky, and his wife, ruling that the accused did not attach enough medical evidence to warrant being granted bail. Justice Kurada also ruled that the IMN leader and his wife would remain in the custody of the Department of State Services (DSS) until January 22, 2019, for the bail application. El-Zakzaky and his wife, Zeena along with four other members of the group are facing trial for eight counts bordering on alleged culpable homicide, unlawful assembly and disturbance of public peace, since their arrest in Zaria in December 2015. Embattled U.S. Attorney General Jeff Sessions resigned at the “request” of President Donald Trump on Wednesday. Similarly, the White House suspended the press pass of CNN correspondent Jim Acosta after he and President Donald Trump had a heated confrontation during a news conference. Karim Benzema scored twice as Real Madrid swept Viktoria Plzen aside with a 5-0 win in the Champions League on Wednesday.